"I truly desire to help others, young and old, reach their fullest potential through education and inspiration. My heart's desire is for Learning Little People to bless others with resources & additional income." Erica J. Williams has earned local and statewide recognition for her lively contributions to the field of education for more than a decade. A 2005 graduate of the Orlean Bullard Beason School of Education at Samford University, Erica certified in Early Childhood, Elementary, and Special Education. In 2009, she became National Board Certified as an Exceptional Needs Specialist. Erica returned to Samford and earned a master's degree in Educational Leadership in 2010. She has taught first grade, Special Education (grades 1-5), fourth grade, and third grade. She has also served as an assistant principal at Hayes K-8 School in Birmingham, Alabama. Erica founded Learning Little People in 2013 as a way to use her expertise in professional learning and to help Alabama's educators continue their learning in more meaningful and interesting ways. Erica volunteers her time with Seasons Ministries, a non-profit that mentors young ladies ages 8 to 25. 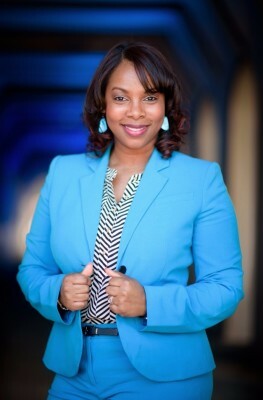 She is also a Junior Board member for Junior Achievement and a board member for the Samford Black Alumni Association.